This chapter discusses “Becky's” (pseudonym) awakening to the possibility of education as a vehicle for social justice (Ladson-Billings, 1998). Among the participants in this study (N = 8), Becky demonstrated the greatest degree of transformation toward critical social thought (Brookfield, 2012). She came to see her role as a future educator as one in which she celebrated and actively included the cultures and language(s) of her English learners in her classroom (Johnson-Bailey, 2012). Although scholarship on transformative learning indicates that feeling cultural or linguistic “otherness” during study abroad increases critical social thought and action (Morgan, 2010; Ross, 2010), the author postulates that it was Becky's sense of cultural inclusion that impacted her development of social awareness. This newfound socio-political transformation led her to seek certifications in both English for speakers of other languages (ESOL) and special education following the study-abroad program. Throughout multiple interviews, Becky maintained that many educators in her community wanted to force English learners to assimilate to “American values” and English-only education. 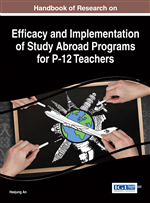 Correspondingly, previous to the study-abroad program in Spain, Becky had a colorblind approach to education that unintentionally discounted racial, linguistic, and cultural differences in her students (Leonardo, 2009). As the author, it is important to note that this was not a purposeful decision Becky made. Rather, these colorblind meta-narratives permeate legal, educational, economic, governmental, and cultural narratives in the United States, making it difficult for individuals constructed as White to see the myriad ways in which we are privileged and how these harmful notions of false equality simultaneously promote dominant ideologies while silencing the voices of people of color (Ladson-Billings, 2009; Taylor, 2009). Furthermore, colorblind narratives are couched in the language of objectivity, meritocracy, color-blindness, race neutrality, and equal opportunity, yet these ideologies “camouflage for the self-interest, power, and privilege of the dominant groups in U.S. society” (Solorzano & Yosso, 2009, p. 133). Finally, the problem with colorblind discourses within educational settings is that “not all positioned perspectives are equally valued, equally heard, or equally included” (Bell, 2009, p. 42). Throughout the study-abroad program in Spain, Becky experienced an epochal transformation where the inclusion Becky experienced from her host family during study abroad made her feel the importance in knowing and including both languages and cultures for English learning students in her future elementary classroom (Cordero & Rodriguez, 2009). Therefore, she came to recognize her heritage-Spanish-speaking students as creators and holders of knowledge and wanted her students to celebrate, rather than silence, their own language, heritage, and culture (Delgado-Bernal, 2002; Moll, Amanti, Neff, & Gonzales, 1992). Thus, throughout the study-abroad program, Becky came to see herself as an activist rather than a colorblind facilitator of neutral history. This change in socio-political stance infused into her teaching philosophy about what constituted good curriculum and culturally responsive teaching (Gay, 2002; Ladson-Billings, 2009). Although this was a study of Becky’s epistemology, the author’s hope (and Becky’s perceived outcome) was that her elementary students activate their voices as valued classroom members and citizens in a democratic society (bell, 1984; Giroux, 2012). The purpose of this study was to understand how Becky experienced transformative learning toward teacher activism when traveling to a culture culture, language, and setting that was not her own. Consequently, this chapter describes what transformative events Becky, a student from a medium-sized, rural Midwestern university, experienced during a month-long study-abroad experience in Spain. In addition, this chapter explores what the experience of traveling to an “other” place and experiencing cultural and linguistic “otherness” had on Becky’s transformative learning. Finally, this chapter examines how Becky came to understand her role as an educator who acknowledges social constructs of race, language, gender, and culture in her teaching. Teacher Education: Programs and policies to prepare prospective teachers with the knowledge, dispositions, and skills to effectively teach in a classroom and the community. Study-Abroad: The act of pursuing educational opportunities by living and studying in a country other than one’s own. Culturally Responsive Pedagogy: Culturally relevant or responsive pegagogy is instruction grounded in a teacher’s ability to educate and relate the content to each student’s cultural context ( Ladson-Billings, 2009 ). Culturally Relevant Curriculum: Culturally relevant or responsive curriculum stems from a teacher’s determining the multicultural strengths and weaknesses of curriculum designs and instructional materials. A culturally relevant curriculum should contextualize (rather than omit) topics like race, gender, class, language, and ethnicity ( Gay, 2002 ). Activism: Use of direct action to achieve a social or political cause, especially confronting legal, governmental, economic, or educational injustice. Transformative Learning Theory: The process of reframing discriminative, unsustainable frames of reference with a more inclusive and permeable way of seeing the world and acting in it. Colorblindness: Colorblindness is the idea that our legal and educational systems treat all students equally regardless of what racial group to which they belong ( Gambrell, 2015b ).